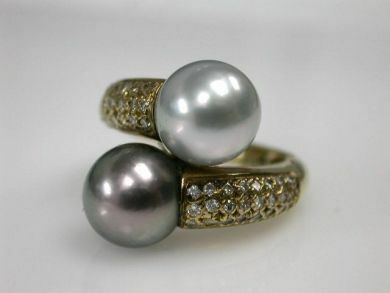 One 18 karat yellow gold and pearl ring. Two cultured pearls of silvery grey coolour with rose overtones. Forty-eight round briliant cut diamonds (0.54 carats: SI clarity:H-I colour).